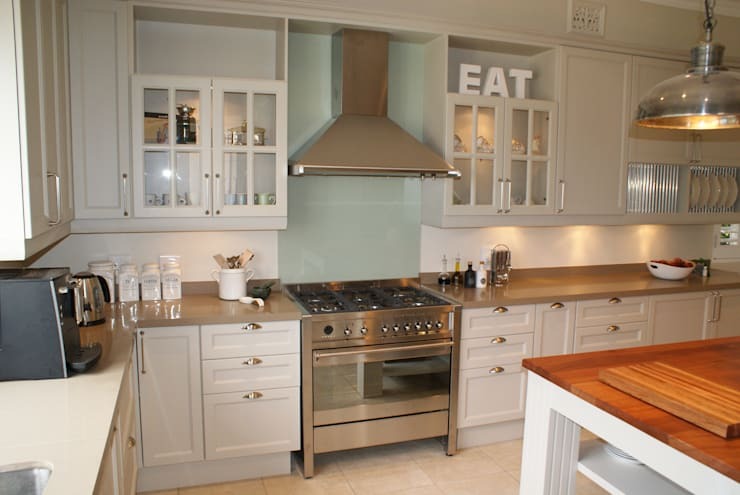 Have you ever considered the must-haves for your kitchen? 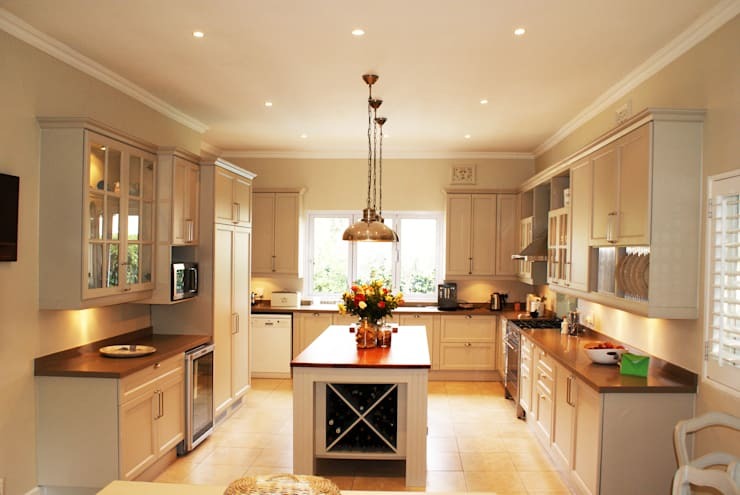 Whether it be colour scheme, cabinet layout and even accessories to decorate your cooking area in gourmet style, you will definitely be spoilt for choice. 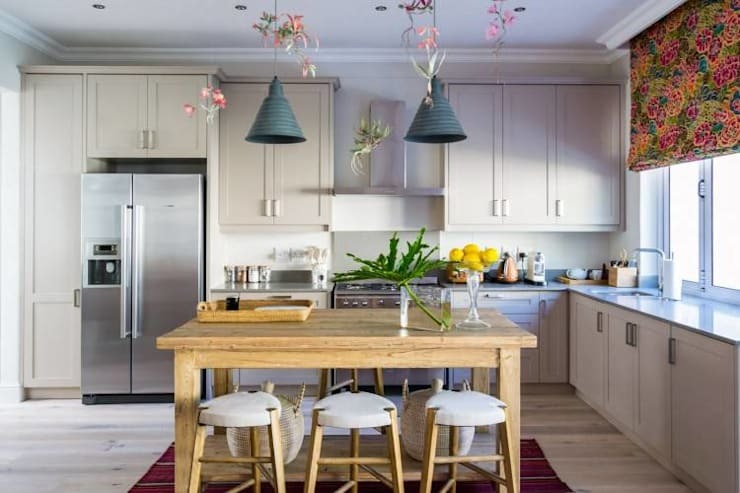 In this homify feature however, we look at the 11 freshest and most fascinating kitchens that have just hit the modern South African home. 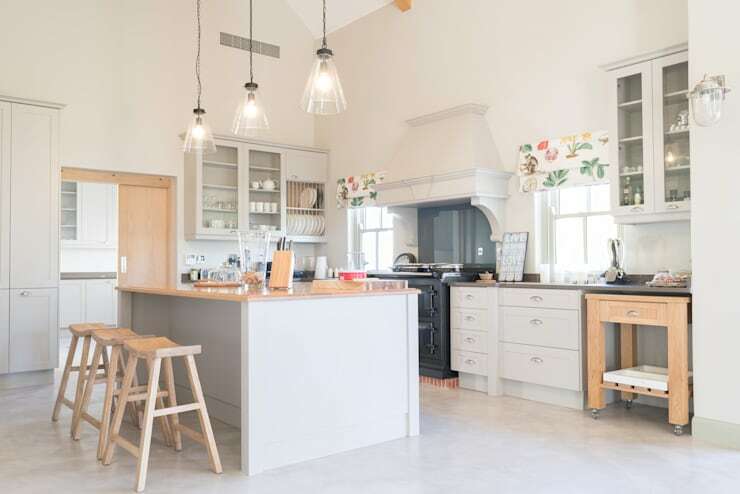 These courageous kitchens may just be the inspiration you need to tackle your home revamp in chic style, bearing in mind sophisticated and modern elements that are attractive, inviting and fit for a sociable family who enjoy entertaining loved ones. Incorporate some colour into your kitchen with an eye-catching focal wall. Red is always an excellent choice, especially if anything vibrant and elegant speaks to you. 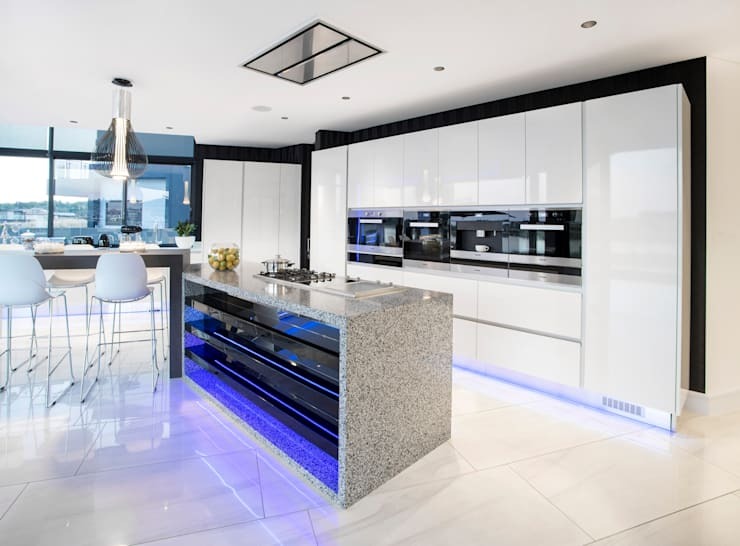 Add a futuristic flavour to your kitchen with this striking LED light beneath the counter. 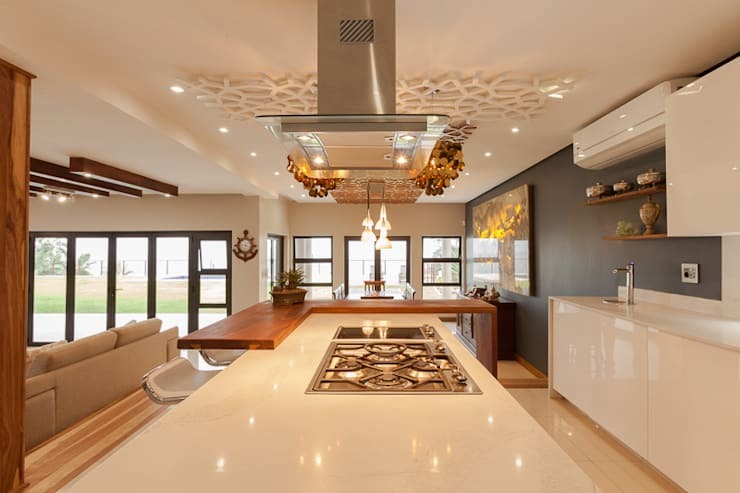 Your ceiling doesn't need to be boring, this fantastic feature will instantly upgrade your kitchen and with brilliant illumination, your decor will be perfect. Be eclectic and creative with this two tone kitchen counter. 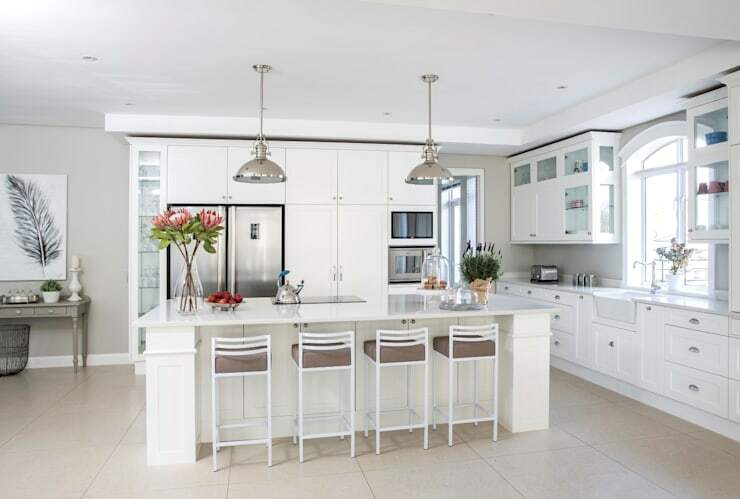 There's nothing like an all-white kitchen for a contemporary homeowner that takes pride in the interior design of their home. Pastel shades, hanging lighting and a few floral characteristics makes this shabby chic decor elegant and picture perfect. 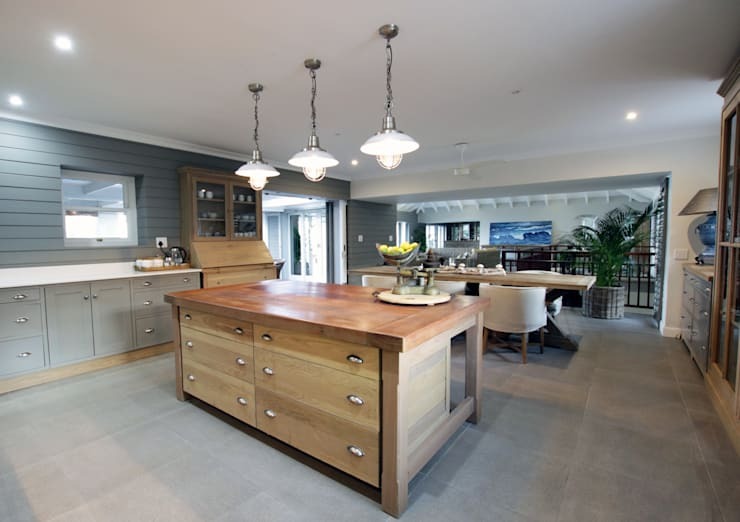 If rustic and vintage decor is what you prefer, then a strong wooden kitchen island is essential. 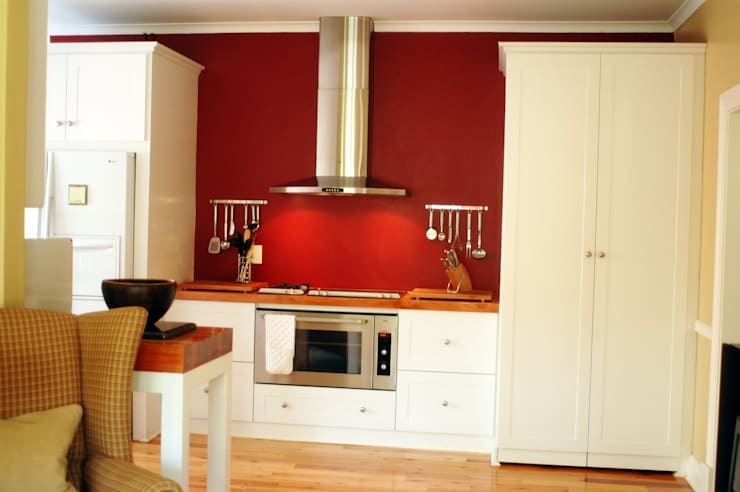 A large stove and oven will ensure that your meals are fantastically prepared every time. If a wooden counter proves too costly for you, then you may want to consider a wooden table instead. It's affordable, stylish and effortless to incorporate into the kitchen design. 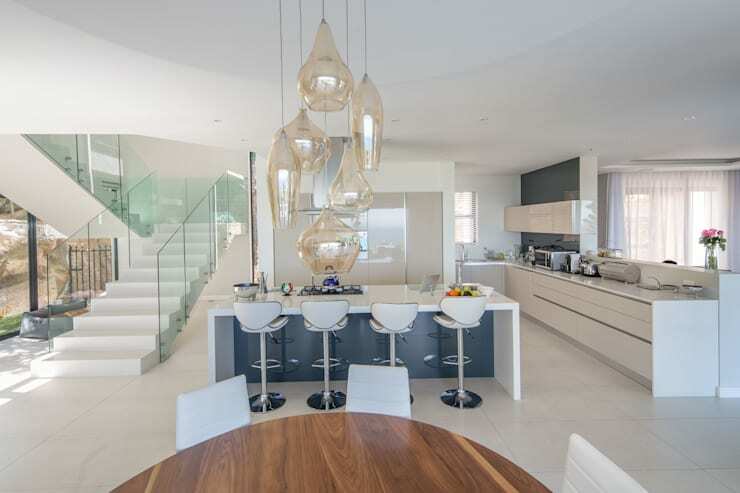 An open plan kitchen and dining area will be a lot more fabulous with enough storage and seating space for the entire extended family. Which kitchen design would you go for?